About Us - Nellie Gavin's Inc.
Nellie Gavin was from County Mayo, Ireland and moved to the USA in 1928. She married James Gavin and they raised 8 children in Yonkers, NY. 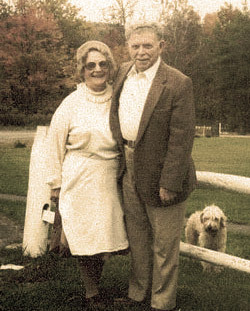 In 1961, Nellie and James purchased Gavin's Irish Country Inn (www.gavins.com) in the Northern Catskills (exit 21 off NYS Thruway) where Nellie shared her famous Irish Bread with all her guests. Today, we continue to "keep the Irish Tradition alive" at the Inn and now in your home.